The patented Jam-Sensor Circuit™ automatically increases the grinding speed by up to 500% in case of any blockage. Thus, it allows efficiently breaking through all types of organic wastes. The unit is somewhat bulky for small kitchen cabinets. The Evolution 200 is one of the most powerful and low-noise garbage grinders out there. Fitted with a high-capacity chamber and 3-stage grinding system, it will easily cope with all sorts of garbage, be it solid or soft food residues saving your peace of mind about what you feed into it. Though it's a model from a budget-friendly basic range, the package still includes all the necessary mounting accessories including a start button and a plastic stopper. The upper and lower bearings are permanently lubricated for maximum easy installation. A flange might appear short for some types of sinks. If you have a small kitchen with strictly limited space in cabinets and drawers, the ISE garbage disposal from InSink Erator is what you need. It is one of the most compact models in the range designed to fit into tight spaces. Meanwhile, it still offers a decent chamber capacity and boasts a high-quality noise reduction system. A forceful induction motor will easily crash all kinds of food garbage including small meat and fish bones to say nothing of fruit and veggie residues. In addition, an overload protection option will prolong the unit service life. There is no air switch in the package. At a fairly affordable price tag, the InSinkErator 77969 provides basic functionality and consistently high performance for regular daily use. This practical and reliable garbage shredder is a great choice for those who are on a tight budget yet still seek a more convenient way to dispose of food wastes. This model boasts an advanced Evolution-Quiet technology with a dual noise screen and enlarged noise baffle. Hence, even when grinding large amounts of wastes, the noise level doesn't raise over 26dB. A bit fiddly to install. 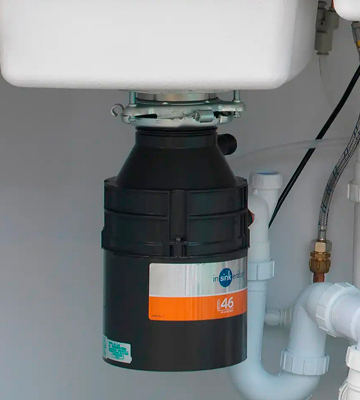 The Evolution 100 is a somewhat simpler version of the top-rated Evolution 200 disposer offering a combo of power and technologies. Featuring a bit smaller chamber, 2-stage grinding system and the same engine power of 0.75 HP, this model offers by far the best performance-to-price ratio. The motor can yield the grinding speed as high as 2600 RPM. What's important, such an impressive rate is achieved almost immediately after the start, an important factor necessary for efficient grinding of larger pieces and solid leftovers. While designing this model, WasteMade took into account the most widespread problems arising around garbage disposers. Hence, this garbage disposal system was created compact in size and a breeze to install yet highly powerful and efficient. On top of that, the Bio-Shield™ antimicrobial protection prevents any icky odours and smells. 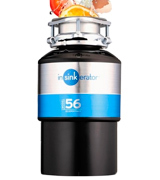 InSinkErator is a major manufacturer of food waste disposers, with the Evolution Excel 75275 being, perhaps, one of the better models represented on the market. 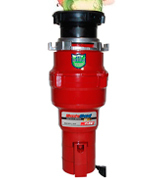 The given disposer has a cutting-edge Dura-Drive electric motor, capable of yielding 1 horsepower, that can beat many models in terms of performance. The grinding chamber of the model is also impressive. 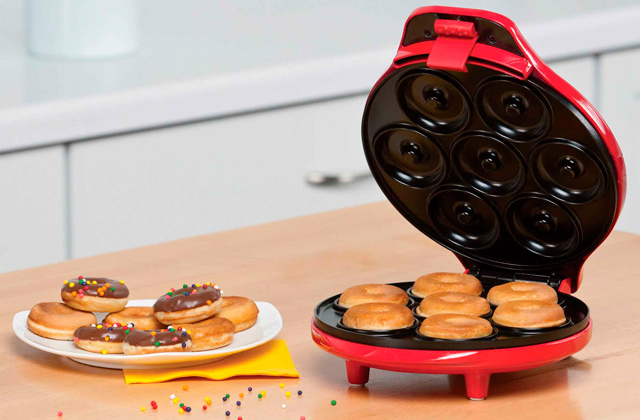 With 1.18 L of capacity the appliance can handle a lot of food remnants. Now, let's dig more into the details. The Evolution Excel 75275 runs at 1425 RPM speed. This is enough to handle nearly all types of food waste: potato peels, small bones of fish and poultry, nutshells, etc. To make grinding as effective as it is, the manufacturer implemented a special MultiGrind Technology which reduces food waste in 3 stages so that it turns into a very fine pulp, safe for any sewage pipes. Another safety feature worth mentioning is the Auto-Reverse Grind System that automatically triggers reverse rotation if a jam does take place. This way, you can be sure that tough waste is going to be either completely processed or return to a grinding chamber for additional grinding. The GrindShear ring, which is the second stage, allows you to grind cornhusks and celery, products that often form flakes and clots that create clogs. The Undercutter Disk stage finalizes grinding and crushes food waste that hasn't been ground. In case a jam does occur, like we said, there's a jam-sensor circuit that will increase torque by 500% to force out a clog out of the system. And if you accidentally put something metal in a garbage disposal, no major damage will be done thanks to overload protection with hand reset. 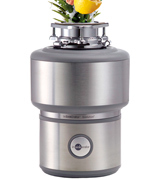 Despite high-performance, the InSinkErator Evolution Excel garbage disposal unit works very quietly. It features insulation system that minimizes noise and has an anti-vibration mount and anti-vibration tailpipe. Additionally, the manufacturer fitted it with a Quiet Collar sink baffle that keeps all sound in a sink throat. 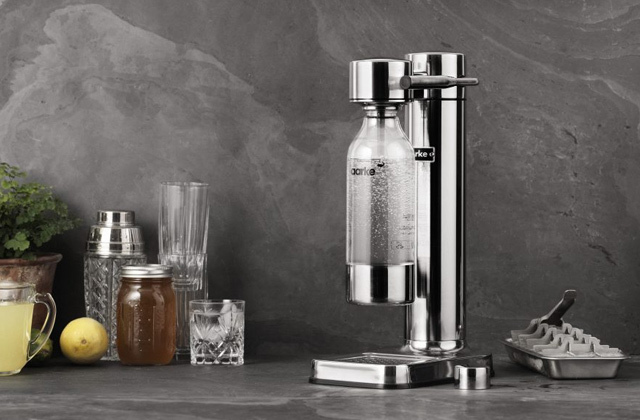 To sum up all we said above, if you have budget and want to invest in a device that will serve you for many years while efficiently handling all types of food leftovers and wastes, the InSinkErator 75275 is a food waster disposer you simply cannot miss out. The best thing about kitchen garbage disposers is that they allow you to significantly reduce the amount of waste you usually send to a trash can. Commonly it is recommended to go for high-power appliances, capable of fine grinding all sorts of leftovers and normally featuring larger chambers. But what if you are limited in under-counter space and a larger unit simply won’t fit under your sink? Think you have to go for smaller models with lower performance? Not at all. The ISE Model 56 from a top-leading InSinkErator brand will deliver reliable and consistently high grinding performance without taking much space in your kitchen cabinet. 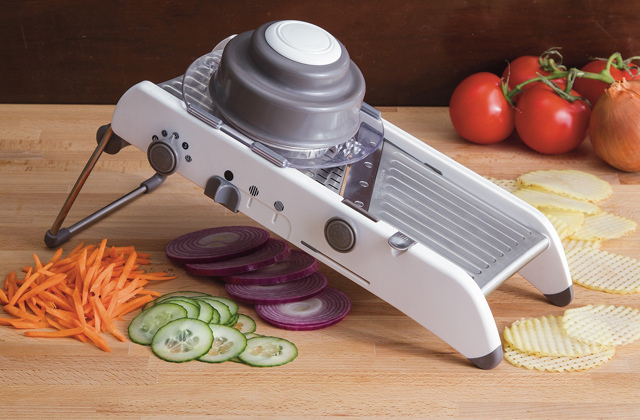 The Model 56 falls into a basic category of InSinkErators, which means it is more reasonably priced than premium models, yet, offers the grinding performance worth a premium class. Smaller in size than other models in the range, this unit still features a capacious grinding chamber with almost 1L of volume. Hence, you’ll be able to install it in smaller kitchen cabinets limited in space and still enjoy fast and flawless grinding you'd get with larger models. On top of that, a 0.55 HP motor generates the same 1425 RPM torque, usually characteristic of more powerful motors. A generously sized-chamber paired with high-torque grinding ensures the performance you’ll hardly find in an average waste grinder. And this model will go beyond your expectations. From soft fish bones and vegetable peels to harder chicken bones, fruit cores, and dry bread crusts, it can pulverize and almost liquefy by far any food wastes. 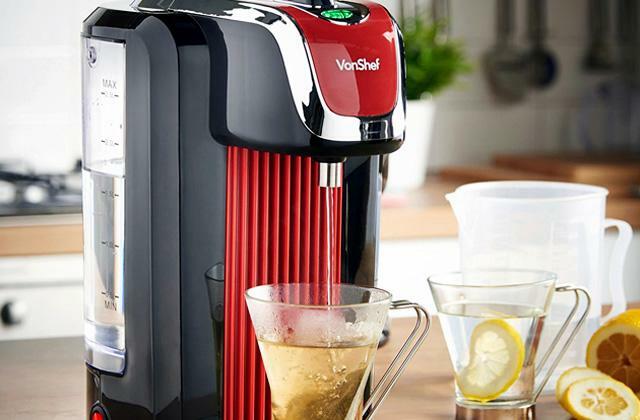 As powerful as it is, the unit will pleasantly surprise you with its quiet operation causing no discomfort whether you simply cook for your family or having fun with your friends. 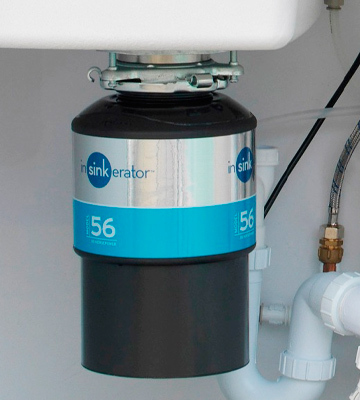 Efficient grinding performance and quiet operation are not the only advantages of the InSinkErator Model 56 garbage disposal system. There is more to come. While some disposals might appear difficult to install or even require professional installation, this appliance will take a minimum of your time and effort to be installed. And you won’t have to purchase any extra fittings. All the necessary mounting accessories come in the package along with detailed installation instructions. So, if you have a sink with a standard 90mm waste hole, you’ll fix the disposer quickly and without a hassle. Some types of sinks might need a longer flange not included in the set. However, you can purchase it separately, just make all the measurements in advance. Other than that, instead of cutting blades, this model has a different grinding mechanism. It consists of a spinning metal plate and impellers using a centrifugal force to break foods against a grind ring. Since there are no sharp blades involved, this system is much safer to use. In addition, the Model 56 can be controlled either by a wall switch or by an air switch coming in the package. Installed on the sink top and activated by air, it allows safely turning the disposer on and off even with wet hands. 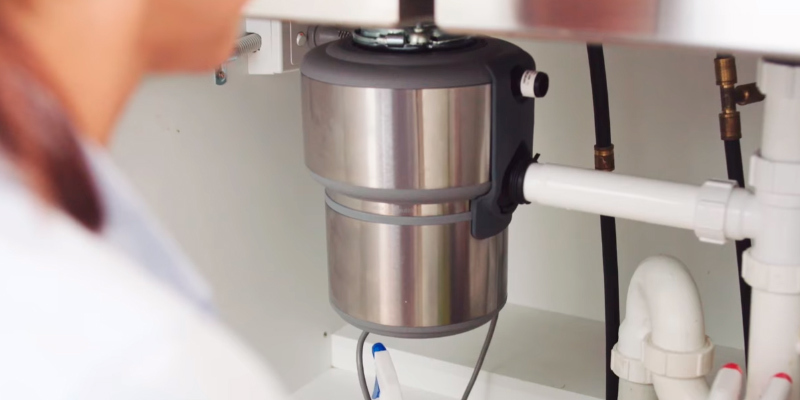 Summing up, if you're looking for a space-saving solution that would fit even the most confined drawers, and won't be a hassle to use and install, the InSinkErator Model 56 is one of the better options to consider. In general, garbage disposals won’t become a wrecking ball for your budget. Yet, we can’t call them cheap either. Prices for top-line models often go over £200, and even average-priced models may cost you more than £100. If you have a large household, often host parties, renovate your kitchen and want something better or plan to replace your old disposer with a newer model, a more expensive unit might be a reasonable and worthy investment. However, some people dwell in rented houses or are simply reluctant to pay that much, yet, still want to benefit from electric food disposals. 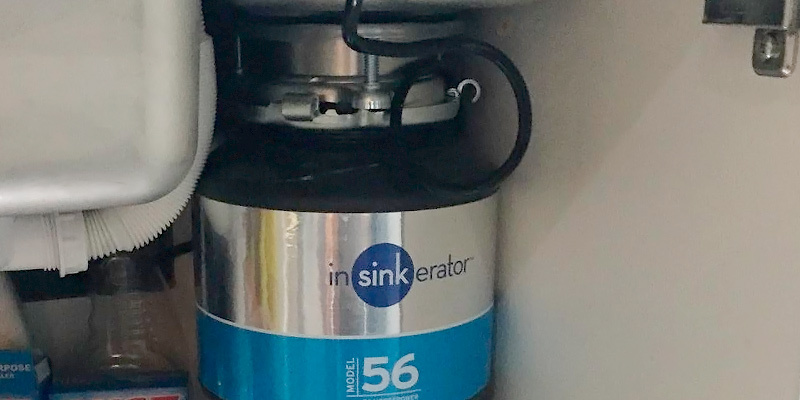 If it sounds like you, turn your eyes to the InSinkErator Model 46. The product range of this brand contains units not only for any household needs but also for any wallet. That's exactly what attracted us in the InSinkErator Model 46. Cheaper than many other disposers, it is definitely a model to match. Let's break its important features. A 0.98-ground chamber is capacious enough to ensure consistent wastes grinding and drainage without clogs. An induction motor stands out for high-torque operation and yields the speed up to 925 RPM which, while being lower than in other models, is a decent rate. 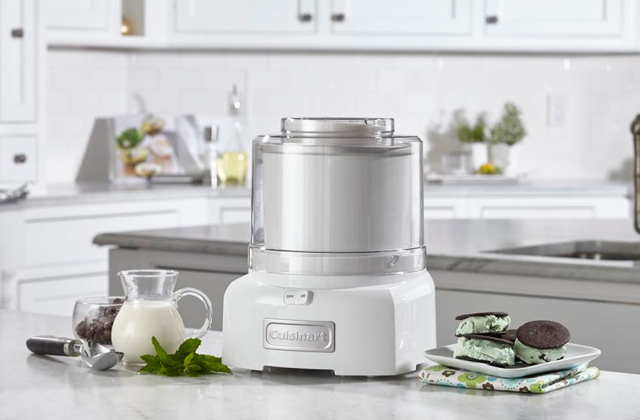 Despite 1-stage grinding technology, the blade-free grinding mechanism is able to equally well process soft, dry, and solid food leftovers, including such solids as eggshells and coffee grinds. That said, it's recommended not to grind highly fibrous foods, like banana or avocado peels, to prevent grinder malfunctions. Similar to premium units, the Model 46 is a breeze to install. It comes fitted with a stopper and an air switch for operation safety and convenience of use. Thanks to the brand-specific noise reduction system, this model also offers comfortably quiet operation. Despite a lower price tag, the Model 46 from InSinkErators not only does its job great abut also stands out for its long service life, which is confirmed by many positive reviews from users. The unit body is made of heavy-duty plastic, while all the grinding elements are made of galvanized steel which makes the whole construction durable, wear and damage-resistant, and long-lasting. 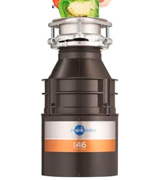 Additionally, the Model 46 has an overload protection function to prevent overfilling the grinding chamber, which helps eliminate possible damages due to unground scraps and prolong its service life. All in all, this disposer is a great product for a great price. Want a top-liner garbage shredder functionality at a reasonable price? If so, you'll like the InSinkErator Evolution waste disposal unit. It's a somewhat simpler version of the Evolution Excel disposer produced by the same brand. 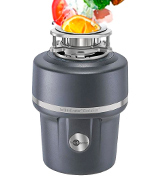 A 1L grinding chamber can accommodate quite a lot of food wastes allowing you to quickly and easily get rid of large amounts of food leftovers. 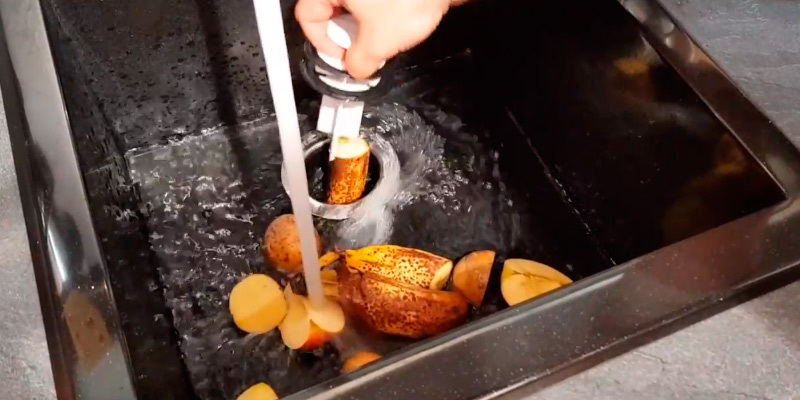 This food waste disposer can grind almost anything: potato peels, small bones of fish and poultry, etc. A 0.75 HP motor rotates the blade with the speed of 1425 RPM which isn’t the highest possible torque, yet, it is more than enough both for average daily needs and even for heavy-duty needs on some special occasions. 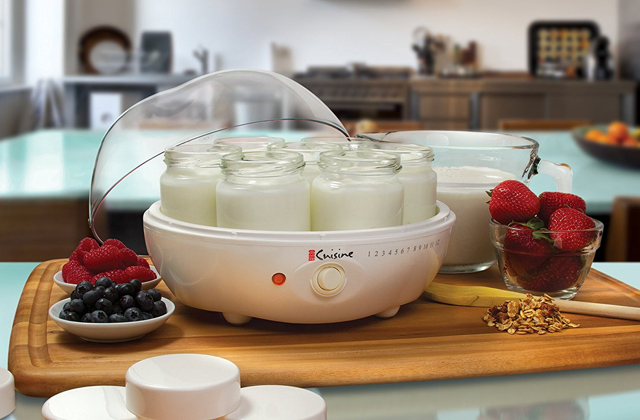 As well as the brand's top model, the appliance is designed with a MultiGrind technology. The only difference lies in that the grinding here is carried out in 2 stages, not in 3: 1) the food's ground into smaller particles; 2) the food is further pulverized to remove unground wastes that might have remained after the first stage. 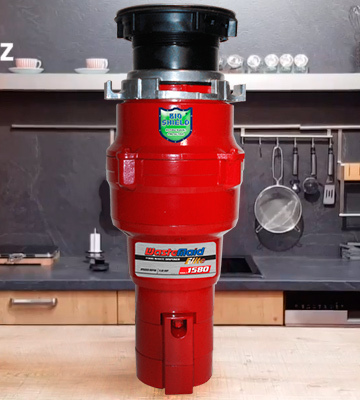 In case a clog occurs, the disposal unit has an auto reverse function that instantly turns the grinding plate counterclockwise to break through a jam. 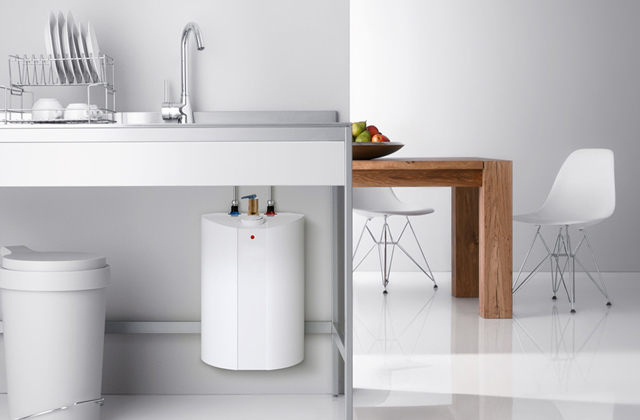 No need to say that the InSinkErator Evolution 76933 is easy to install, as are all models from InSinkErator's range. Whether it's the first disposer you buy or you look for a replacement, it will be a good option. Finally, we'd like to mention the SoundSeal technology which allows it to run 40% quieter than many other models. 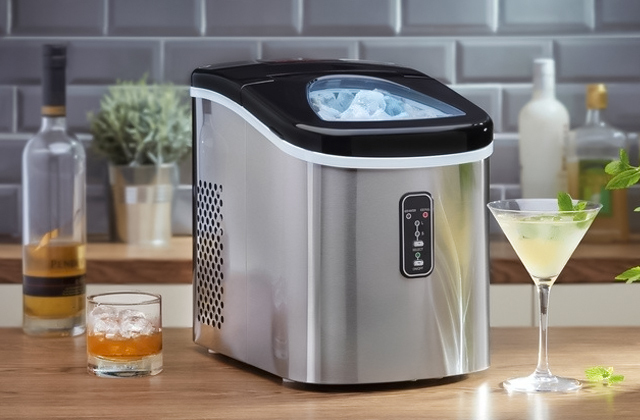 Highly efficient insulation featured on the appliance along with the anti-vibration components allow minimizing not only noise but also motor vibrations, making the InSinkErator Evolution 76933 suitable for grinding even some challenging ingredients without becoming an annoying spot. Owing to a blade-free grinding system, the risk of injuries related to this model is minimal and you are unlikely to get hurt unless you break the safety regulations. Furthermore, there is a detailed Disposer Do’s and Don’ts users’ guide included in the package that will fully inform you about the unit's safe use and maintenance. Many customers think that a garbage shredder is a tricky appliance, hard to install and requiring professional aid. And many really call for a plumber and pay for the installation. With the Evolution waste disposer, you should be able to do everything on your own. Thanks to the stainless steel Quick Lock mount included in the package, you'll fix it in place in a matter of minutes. 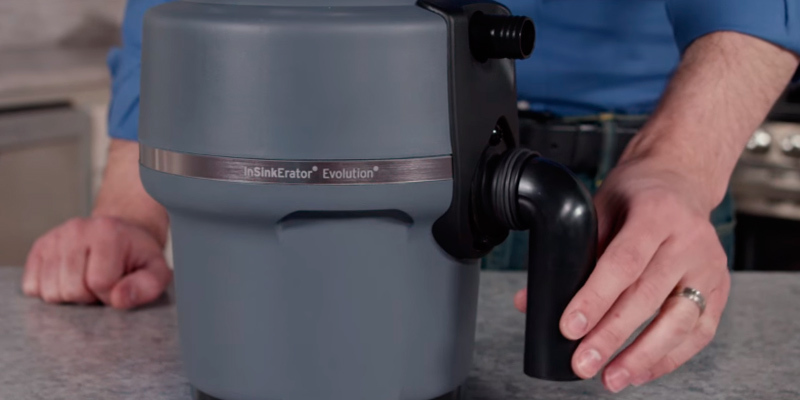 The InSinkErator Evolution 100 offers an optimal performance to price ratio and is worth every penny you'll pay for it. It's the best option for large households, big families with kids, and heavy-duty waste disposal needs. It is considered that smaller waste disposal models with lower-power motors are less efficient in food grinding. This is mostly due to limited torque and less power, used to break through wastes. Yet, not all smaller models are the same. 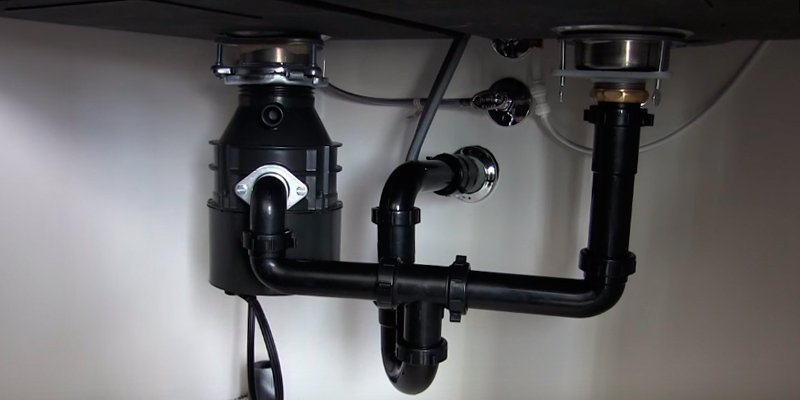 An under-sink garbage disposal from WasteMaid serves as a great proof of that. Relatively small in size, this model offers a truly impressive grinding performance. See for yourself. While many disposal units look like a wide jar, the WasteMaid rather resembles an ordinary bottle trap. It is slimmer and longer in shape, which will let you fit it even into tight and narrow spaces under your kitchen sink. Obviously, the motor power is also lower. 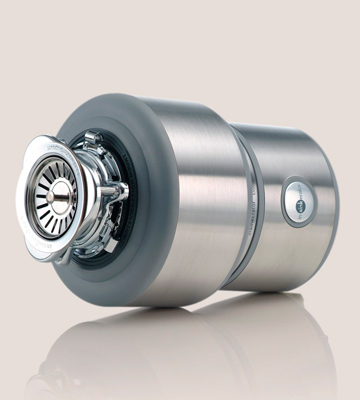 Featuring 0.8L of chamber volume, the motor operates at 0.5HP. However, don’t let this compactness and moderate power fool you. These specs in no way affect the grinding efficiency since the motor of the appliance is capable of generating a stunning torque that can go as high as 2600 RPM. Such speed is much higher than in many larger and more powerful models, making the WasteMaid capable of processing just about any kind of food leftovers. To get the most out of your disposer, it is recommended to flush wastes with large amounts of water to prevent the risks of sink pipe blockages. Speaking of the unit construction, it is second to none. All vital elements including cutting blades, installation bracket, and inner chamber are made of stainless steel making the whole construction durable and long-lasting. On top of that, the appliance installation is a quick do-it-yourself process. Just snap the mounting bracket onto the sink drain hole, tighten it, plug the unit into the socket, and off you go. No hardwired electric connections or plumber aid needed. The WasteMaid belongs to continuous-feed waste disposals and pulverizes garbage as long as you feed it. This grinding method is faster and offers a lower risk of drain cogs due to unground or poorly ground dense, solid, and fibrous foods. But on the negative, food scraps tend to fly out from a wide feed opening, thus creating a mess in the sink and around it to say nothing of bone shards that can easily hurt you. 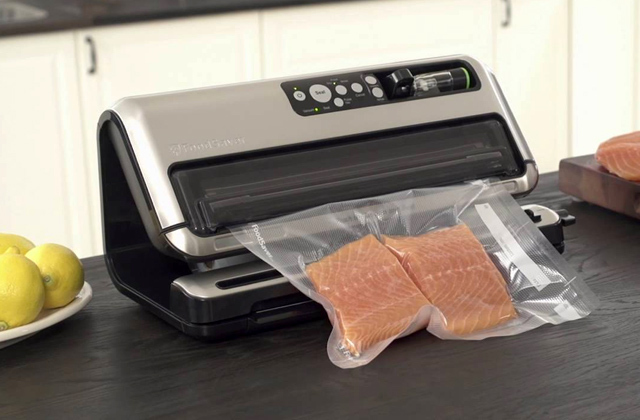 To solve this, the WasteMaid package comes complete with a special rubber splash guard that will direct those food particles back into the drain. Another big problem typical of garbage disposals is foul odours caused by fats, oils, and food residues stuck to the unit walls and drain pipes. The WasteMaid has solved it either by including a protective bio-shield into the package to trap bacteria and icky odours inside. To prevent unpleasant smells, it is also recommended to thoroughly wash the grinding chamber with warm water after each use. In conclusion, the WasteMaid 1580 is a great combo of simple and convenient design with truly high grinding performance that is hard to overrate. It's small in size so that it can fit snugly in cramped spaces and it's easy to set up as no hardwired electric connection is required. With that, the unit does a great job of grinding all kinds of wastes into a fine consistency. If all this sounds exactly like the type of garbage disposer you've been looking for, give the WasteMaid 1580 a whirl. Garbage disposal units are special kitchen appliances that are usually installed under the sink. They are powered by electric motors and have blades that shred food that gets on them so that it goes into the drain. Buying a garbage disposer can benefit you in many ways. For one, you will need to pay for garbage removal less often, which is a good thing, right? For two, there won't be much food in your trash can to decompose so the appearance of bacteria and germs is unlikely to become a problem to say nothing of nasty smells that usually entail the food decay. And for three, garbage disposal units are easy to maintain and use: you just need to turn the faucet on, push one button, fill waste you want to get rid of, and here you go, the unit will do the rest work for you. Garbage disposers are certainly a worthy investment. One other appliance we'd recommend you to acquire (of course, if you don't own one yet) is a water filter. 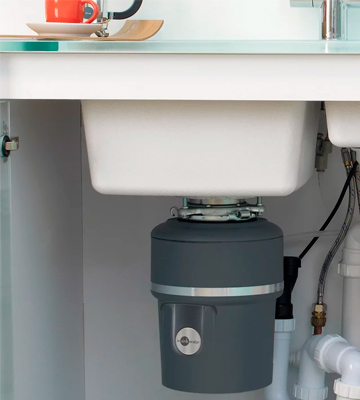 Just like garbage disposal units, a water filter system goes under the sink so that it remains hidden from the sight, and cleans water right from the tap. Buying these two devices will allow you to utilise your sink with maximum benefits. When you are about to choose a garbage disposal unit you need to consider certain most important features these appliances have. First of all, you must consider the Power your garbage disposal yields. The more powerful the appliance is, the stronger food waste it can grind which means you can get rid of more garbage without a necessity to sort it. Next, you need to take the Grinding Speed into account which means the speed the electric motor can make. It is usually measured in revolutions per minute the garbage disposer makes. Speedier garbage disposals can grind the waste faster and more efficiently. For example, if you need to get rid of some solid waste (nut shells, apple cores, etc.). Also, consider Installation and Safety - what precautions a manufacturer foresaw in order to prevent any accidents. Also, the garbage disposal has to be quite easy-to-install, otherwise, you might need to pay around $100 for the installation. Finally, don’t forget to check the Noise level every garbage disposer produces. 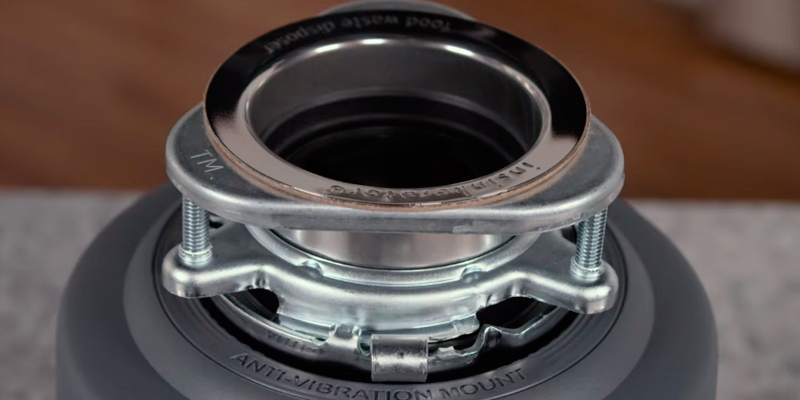 The best appliances include a lot of anti-vibration components, so you can’t heat the unit run. Finally, don’t forget to check the Noise Level every garbage disposer produces. 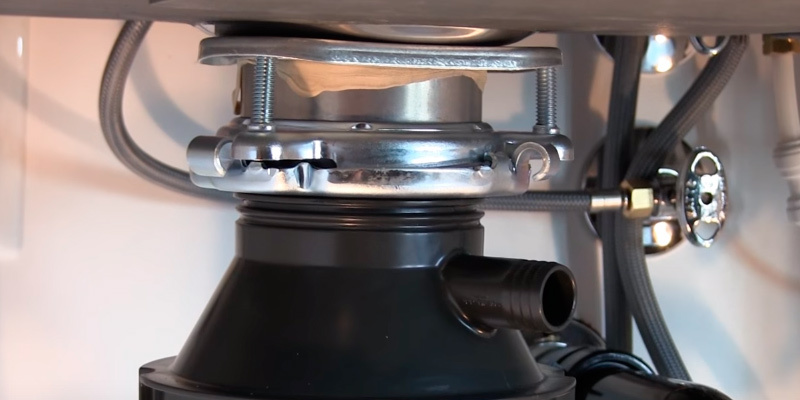 The best appliances include a lot of anti-vibration components, so you can’t heat the unit run. Every day we do a lot of tasks and home chores. We wash, cook, and tidy up our houses, thus producing considerable amounts of all sorts of garbage and wastes. The kitchen is by far the major source of domestic wastes. Whether you are a real home chef or an occasional cook, you have to deal with food leftovers and packaging on a daily basis. Of course, it is impossible to get rid of all garbage and by-products, but you can certainly make your kitchen more hygienic if you replace your regular trash bin with a garbage disposal. Aside from making your post-meal cleanups a lot easier, it will also provide you with many other benefits, of which you might not even have thought. Less waste and trash. To get rid of organic wastes, you have either to compost it by yourself or have it taken to the landfill by a garbage pickup service (that is not free of charge). 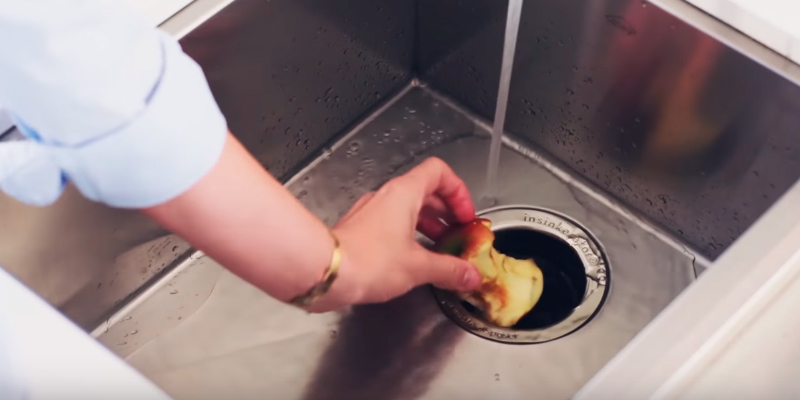 Whatever you choose, a garbage disposal will save you this trouble. It will effectively shred food leftovers to tiny particles and reroute them into your own septic system or to the public sewage for further treatment. Going green. Less food waste means less plastic bags to dispose of those wastes as well as less methane gas emissions due to composting. Besides, once separated from water in water treatment plants, ground organic leftovers can be further used as fertilizers or as a source of energy. Better smelling and cleaner kitchen. 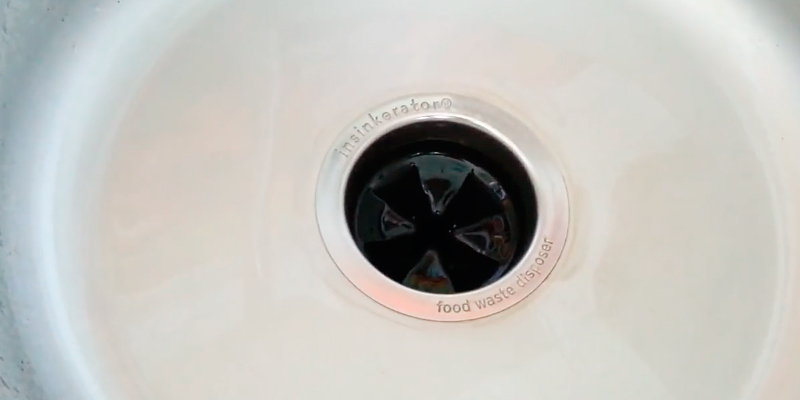 With a garbage disposal, you won’t have to put food leftovers into your under-the-sink trash container. It will help prevent stinky odours of rotting wastes from permeating around your kitchen and reduce the number of bacteria as well as keep such unwanted visitors as ants, roaches, and mice at bay. Affordable and budget saving option. Garbage disposals are appliances almost any average household can afford. They don’t consume much energy and require no special maintenance. And they also can save you some money by preventing many emergency plumber repairs. If you want your garbage shredder to serve you longer and get the most out of the unit, there are several simple rules to follow and some things to avoid. Run your unit on a regular basis to prevent moving metal parts from rust and corrosion and avoid any obstructions. Turn on the water before you start the appliance and run the water for about 15 seconds when you stop grinding to flush the unit and the drain and remove any remaining food particles. Use cold water, not hot. 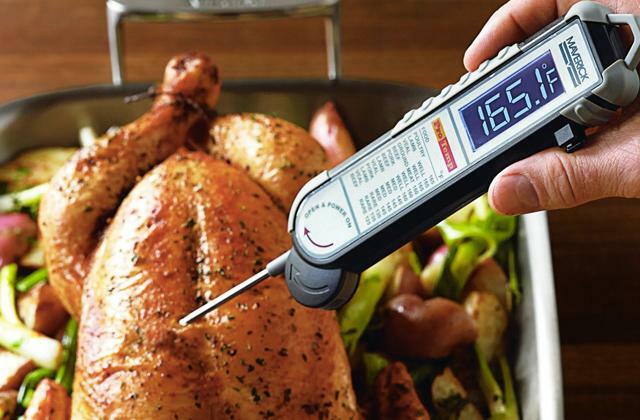 It will help solidify the leftovers for better shredding while a hot water will rather melt some ingredients and they will cling to the walls of the grinding chamber and pipes. Cut large waste into smaller pieces and put only several chunks at a time to avoid cutting system breakage and malfunctions. 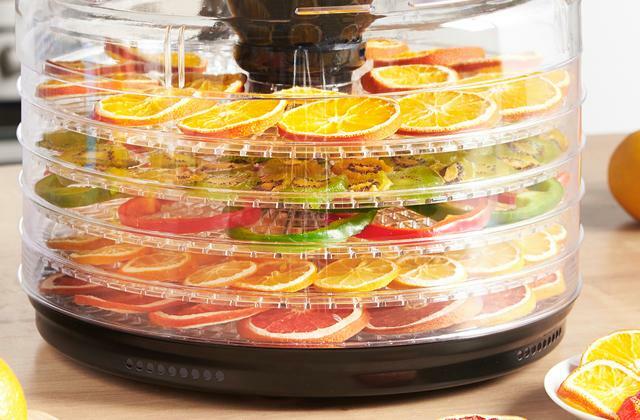 From time to time, use a special disposal cleaner to de-grease the unit and grind some citrus peels to eliminate bad odours. Most waste grinders can easily shred eggshells, coffee grinds and even tea bags (without a strap). Just feed these with a strong water flow. Never turn off the motor or water until you finish grinding. 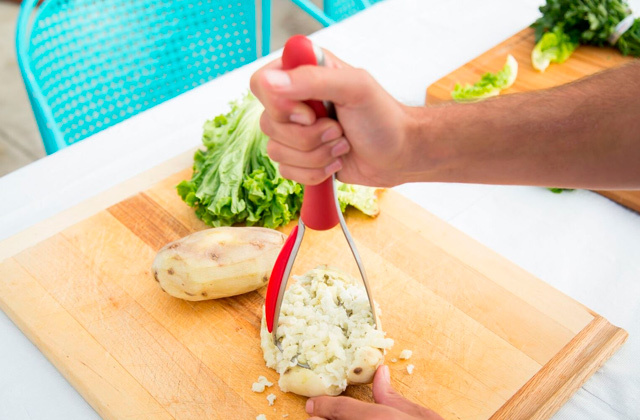 Avoid putting too many starchy or expandable ingredients (such as potato peels, pasts, rice) into the disposer. This might cause drain pipes clogging. Refrain from using drain cleaners and other harsh chemicals when cleaning your waste shredder. They can damage the unit blades and pipes. Don’t grind large animal bones, cigarette butts, plastic or paper and never pour grease, oil, or fat into the unit. Besides, try not to grind very fibrous ingredients such as celery stalks, corn husks, and onion skins. Fibres can tangle around the blades or discs and cause motor jams. 1. 6 Tips for Choosing a Garbage Disposal, DoItYourself. 2. Garbage Disposer Buying Guide, Consumer Reports. 3. 5 Tips for Picking the Right Garbage Disposal, Wayfair. 4. Chandler Warnick How to Choose a Garbage Disposal, Overstock. 5. 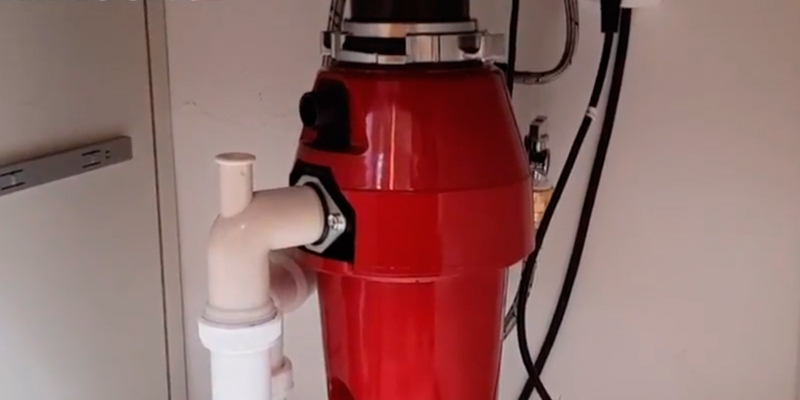 How to Install a Garbage Disposal, DIYnetwork.